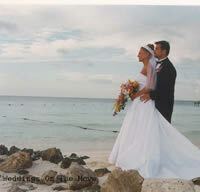 Playa del Carmen weddings are the perfect venue for a beach sunset destination wedding. Playa del Carmen has a quite, pleasant, and relaxing atmosphere. “Playa” as it is known to the locals. The calm waters off the shore of Playa del Carmen make these sheltered beaches very popular. During the day the town is full of local children playing games, and in the evening, the town takes on a festive life as everyone gathers outside to enjoy entertainment and open-air restaurants. Since Playa is so small you can practically walk anywhere in a few minutes. 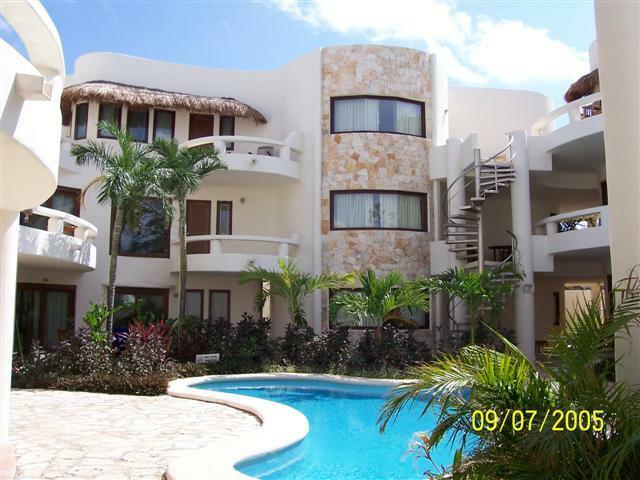 You can stay at the Playacar development, which includes three luxury hotels and a golf course. There is also the Xaman-Ha Aviary located on this property. The aviary houses hundreds of birds in a tropical forest setting. Farther south a cruise-ship dock at Puerto Calica is bringing in more tourists. There are many sites to see when you are in Playa. You can go to Xcaret which is a water-culture park about 6 miles south of Playa del Carmen. This is a place to visit if you love crowds of people. 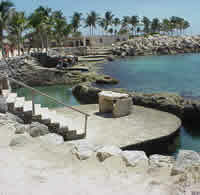 The park includes underwater tunnels that are connected to a lagoon, swim with the dolphins, or tour the Maya ruins. There is also a re-created Maya village with actors in traditional costume, a museum housing scale models of historic Maya sites, botanical garden, two restaurants and a bar. 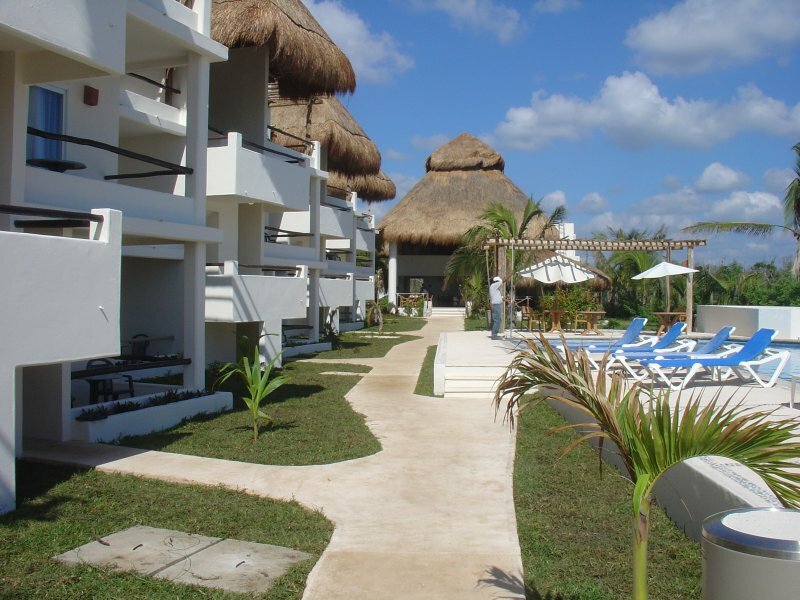 Xpu-Ha Eco Park is located about sixteen miles south of Playa. 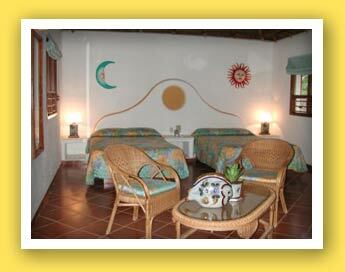 The enterance fees include biking, kayaking, snorkeling, catamaran rides and a large food buffet. Also twenty three miles south of Playa is Xel-Ha. This park has a clear blue lagoon which was sacred to the Maya and has huge parrot fish. This is a wonderful place for sunbathing, enjoying the gorgeous lagoon, and walking on the paths for a nature adventure. Tulum: Tulum is the only major Mayan city built next to the sea. It is located on a bluff above the Caribbean Sea. Remaining today is a small collection of buildings, at least when compared to Mayan sites like Chichen Itza. Many of the ruins are roped off to keep people from damaging them. A beach at the foot of the cliff adds to the beautiful setting. 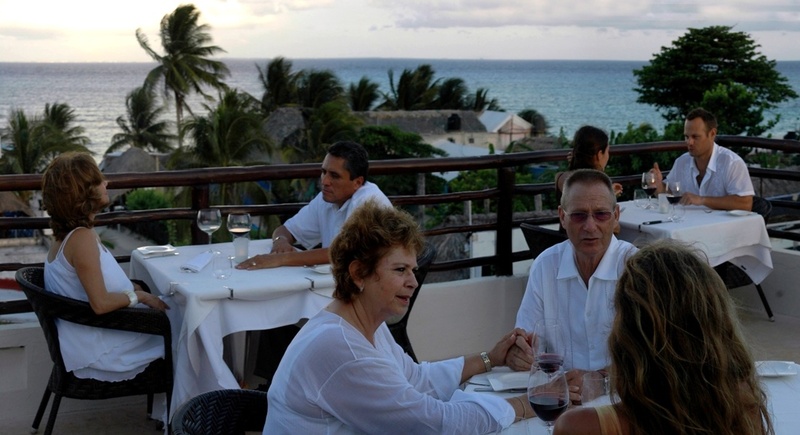 Tulum is a convenient day-trip from Cancun or Cozumel. 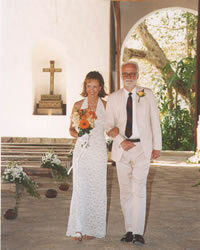 For a beautiful Playa Del Carmen sunset wedding, register with Weddings on the Move. 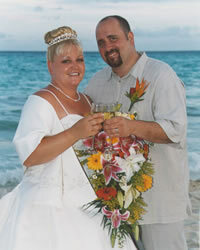 We will be able to customize a quote for your Playa Del Carmen wedding based on your wedding and reception needs. 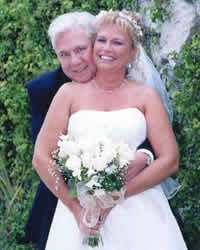 We can also arrange a wedding for couples stopping in Playa Del Carmen for the day while on a cruise.